My bee block, block has broken, and I am finally moving ahead on the overdue blocks for the Modern Stitching Bee. This one is for Anneliese. She asked for coloured prints and low volume prints, I hope you can see the difference. It is perhaps a bit subtle, but I am making due with the pretty fabrics I have on hand at my summer place and I am hoping that pretty makes up for big contrast. The second block is laid out, but after "re-sewing" several mistakes on the first one - even after laying it out carefully - I decided it was best I start fresh rather than stay up even later to get it done. I am currently unsure about the centre print, I am going to put the low volume corners on it and decide if it needs to change. 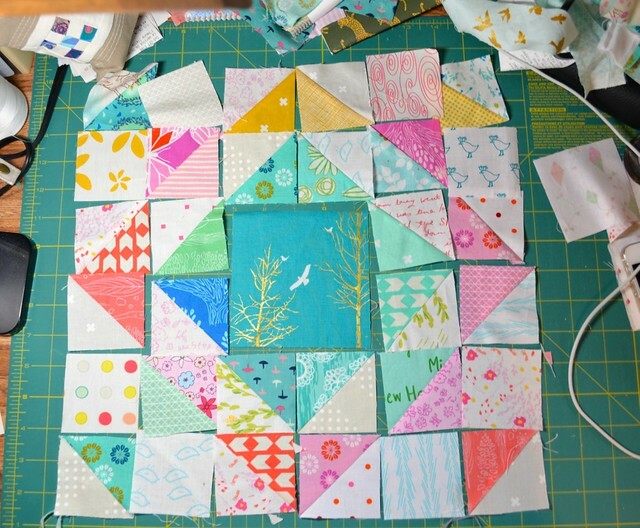 After this block, I have 4 more Modern Stitching Blocks to finish to catch up to the end of August, and my Always Bee Learning fabrics for August's block are waiting for my return at the end of the month. And at the end of August, I will be finished all my internet bees, challenges, swaps, etc. (Except for one private swap with Susan - and Susan, I have not started yet, but I have some great ideas.) 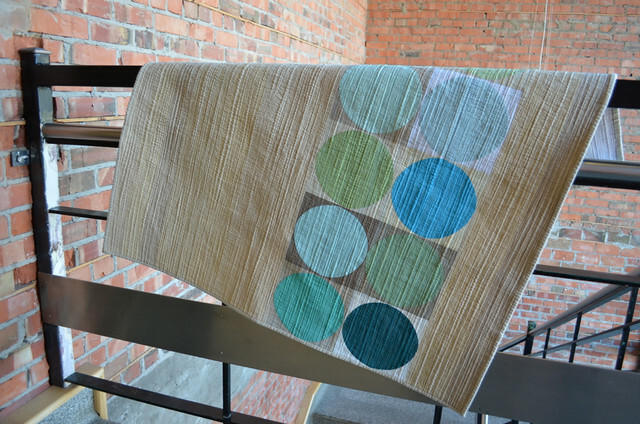 I like the connection with quilters from other places so I am going to have to decide how I continue to make those connections in a way that works well for me. I have been making hair bows. It has taken me a few tries to figure the best way out, so I'll take some photos later and give you a little tutorial on how to make them shortly. 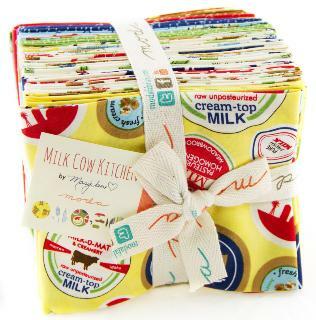 This morning I drew the winner of the Milk Cow Kitchen fat quarter bundle give away provided by my sponsor, Green Fairy Quilts. The lovely Amanda, who left me her instagram contact -@amjordy - is the winner. I have posted that on instagram, so Amanda, if you read it first here, I need your email address. Thank you to Green Fairy Quilts for sponsoring this wonderful give away. I almost missed the acceptance of my quilt for the show. It seems that at least a few of the acceptance emails were caught in spam filters (and for those who submitted more than one quilt, a rejection email went into regular email while the acceptance email went to spam) and were unnoticed. I only checked when I saw Melissa post about the acceptance of her lovely quilt and then I remembered that I had not heard one way or the other and went searching, ultimately in the spam box. So, if you submitted a quilt or quilts, and don't have an email about each one, check your spam filter! Next week I am off to Grand Rapids, MI, to see Snowfall in the American Quilters Society show. It will be my first opportunity to see one of my quilts hanging in one of these big American shows, and I am very excited to go. If any of you are going to the show, let me know - maybe we can have a coffee? Well, I have been to the farmer's market and an art market already this morning, and this afternoon I am planning to pick blackberries and sew that bee block together, maybe start on another set, oh and maybe make a hair bow and take some photos for a quick tutorial. Unless, of course, it all gets put on hold by a nice nap. I hope you have a lovely day. Aww thank you (and Green Fairy Quilts)! 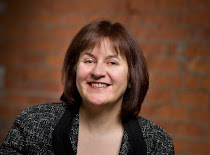 My email is acrothers06 (at) googlemail (dot) com. P.S. 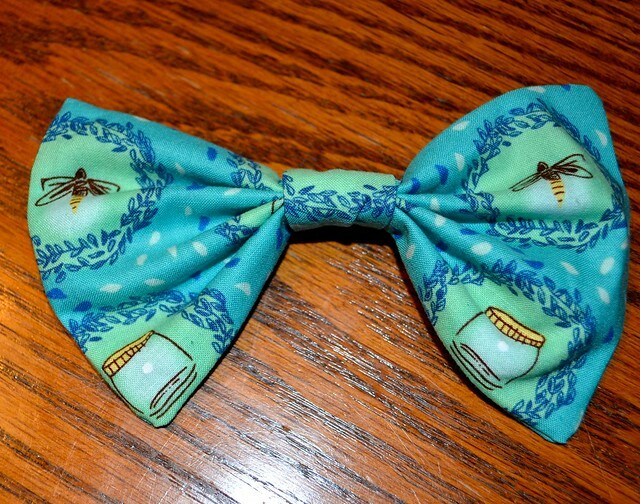 I like your bow, I imagine it is tricky to get perfect symmetry like that! Congratulations - that's very exciting! I've never been to Houston and am trying to make plans to attend this year with my sister. If it happens, I'll be sure to keep an eye out. Congrats! Lovely blocks for Anneliese. There's no panic with my blocks if you are busy and other people you are making for are more eager to have theirs back. Few things have changed here and it will be another while before I will get to my blocks, so please don't be under pressure on my account. 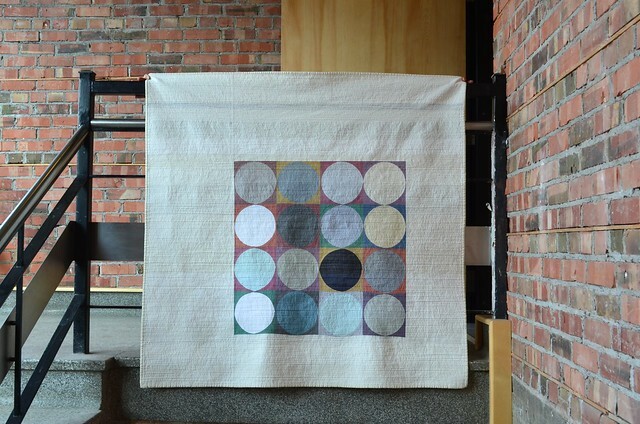 Congrats on the quilt shows - your creations are truly stunning! Love the block too. A few exciting things, I'd say! Congratulations on your acceptance into the quilt shows! Your work will knock them dead! 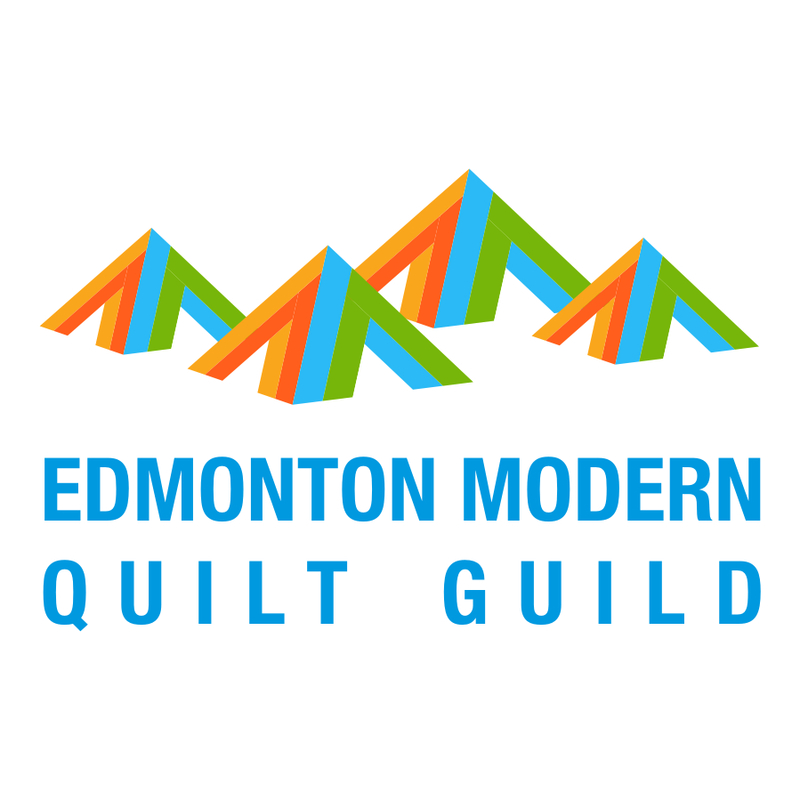 I hope one day to attend even one of these shows to see quilts made by all my blogging friends! Have fun in Grand Rapids! nice block, might have to make one of these to add to my box of blocks. Good to see you have had your quilt accepted for Houston, have 2 friends who are going from here in the UK, it is my dream to one day go but afraid that is all it will be a dream. Well done on getting your quilt accepted for the Houston Show. I'd love to attend the show- maybe one day! I like the centre on the second bee block but if it's bothering you then change it before you start all that sewing!! Congratulations on having your quilt accepted! Congrats on your accomplishments! That's awesome. I see what you mean about the second block. I think it's the blue of the center block not working with the minty/blues of the surrounding blocks. Maybe pink or that goldtone for the center block? Good luck! Love the bee blocks. Congrats on the quilt show acceptance. And, finally, I've not started yours either. Barely touched my machine since the holidays started. Not had time. Away again Wednesday so September it is then. Glad you're singing from the same hymn sheet as me! Congrats on Cycles 2!!! That is so exciting. Love the LV blocks. 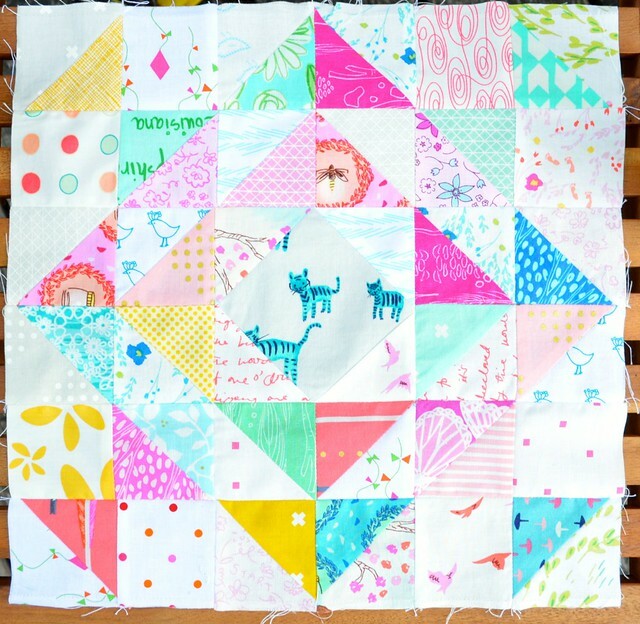 Loving the color combo on these quilts! The circle one is so modern and fresh too. Well done! Snowfall is my absolute favourite of the series. Congrats.....so exciting!!! So wonderful that you are going to the show!!! How exciting to see your quilts in a show, they really do deserve to be there! 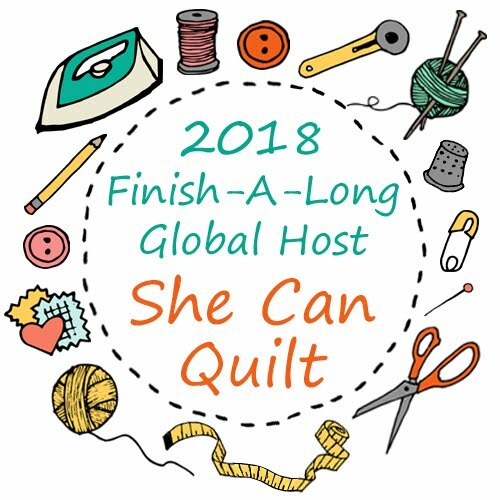 I am hoping to make it to Houston's quilt show this year, I have a room reserved, just waiting to see if I can actually make the trip. It would be fun to see your quilt hanging. I am working on less bees also, I am finding the interest in some bees to be waning, but I think they still have a good place in the quilting community. 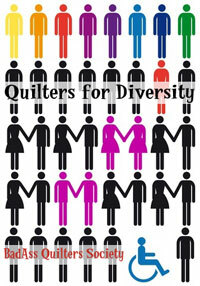 You can make good quilty friends form quilt bees. I still love the swaps, but I'm not overloading myself and watching when the shipping deadlines are so I'm not feeling overwhelmed. Sometimes it's hard to pass on a swap that you see a lot of excitement for online. Hope you enjoy the rest of your summer time - ours is still going on, albeit from home! It seems you're going to be busy following all your beautiful quilts from show to show. Congratulations. Congratulations on getting your quilt into Houston! I went some years ago and found it so stimulating and interesting and loved it all (although I was dead tired when the week ended). I think you'll have a great time there--and especially fun to see you quilt in the exhibit!